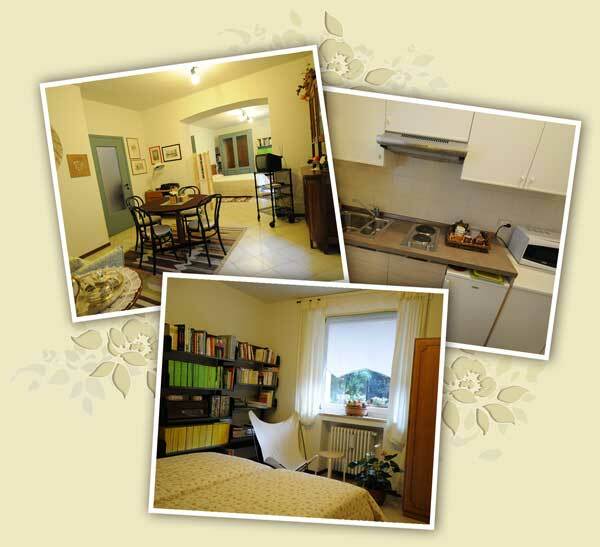 "La casa dei fiori di Cecilia" is a delicious, quiet independent two-room apartment in a small green oasis located in the middle of a characteristic old setting in Acquate. At your disposal you will find a warm and welcoming environment in the research of an imperfect beauty, never predictable and authentic which reuses the old things placing them in a new context, all looked after by Cecilia, the Lady of the house with a passion for Western and Eastern art of flower arrangements (Ikebana) which she periodically transmits to her relatives and friends. Available even for short stays, a furnished and fully equipped two-room apartment, situated on the ground floor in front of a garden is at the guest’s disposal, and is composed of: an entrance with a niche for jackets and coats, a living-room with sofa bed and a TV set, a bedroom with two single beds or one double slat bed with mattresses and pillows recommended by A.I.F.I. (Italian Association of Physiotherapy) for a healthy rest "The rest of Nature", a kitchen fully equipped with an electric stove, a microwave oven, a fridge and a set of accessories for cleaning the environment and for washing up, a bathroom with a shower and a hairdryer.